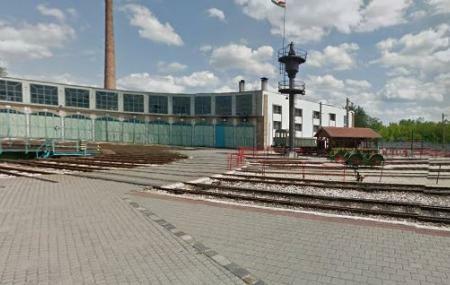 Find hotel near Hungarian Railway History .. The Hungarian Railway Museum was the first interactive railway museum of Europe. The foundation stone of this idea was laid in the year 1999. It was opened to the public for the first time in the year 2000 and was spread over an area of 70,000 square meters. Today it comprises of about 50 engines, more than 30 of which are restored and about 12 are operational. There is also a huge stock of rail cars, steam engines, handcarts, inspection cars, steam cranes and other various items related to the railways. It basically makes you travel through the development of locomotives that have developed over the years and are today a part of our system. Also, the accompanying garden gives you a chance to relax after all the exploration in a lush green environment and is a must visit for people who like to explore museums. For group visit, prior appointment is required. For interactive programs, check official website. Check the official website to check the updated schedule. For the timings of interactive entertainment, visit official website. How popular is Hungarian Railway History Park? People normally club together Aquaworld Resort Budapest and Imre Varga Collection while planning their visit to Hungarian Railway History Park. CLOSED til March 2019. Seems like it is a cool place but it was closed. The gate is open where you will be met by security before getting to the pay gate. Where you will see the closed sign. I've been there for a conference in November. The weather was very sunny that day and so the place and then weather play together very well. I had not much time for visiting the entire area, but the way from the main entrance to the venue gave me a glimpse at some trains and the buildings. They were simply amazing. Old but fully renovated. I simply couldn't believe that the conference was in such a historical place. I promised myself that the next time I'm in Budapest I'm going to visit it again. Till next time. A huge collection of unique locomotives and wagons. A place that try to save and preserve everything that moves on rails. Absolutely reccomended if you like trains. Well worth a visit, excellent range of Hungarian national and some international, engines, coaches and cars on rails! It's a bit off the beaten track, with absolutely no signage, so Google is essential for finding the place, can be reached by tram and various buses, if you've the nerve, though the directions given are for motorists. Lots to see and do, the best way to get the lie of the land is to take the extensive garden railway tour first. Historic bar/cafe serves a good lunch, beer, tea! And alcohol. Pleasant gardens to stroll in and some English speaking staff make this museum alone worth a visit to Budapest!